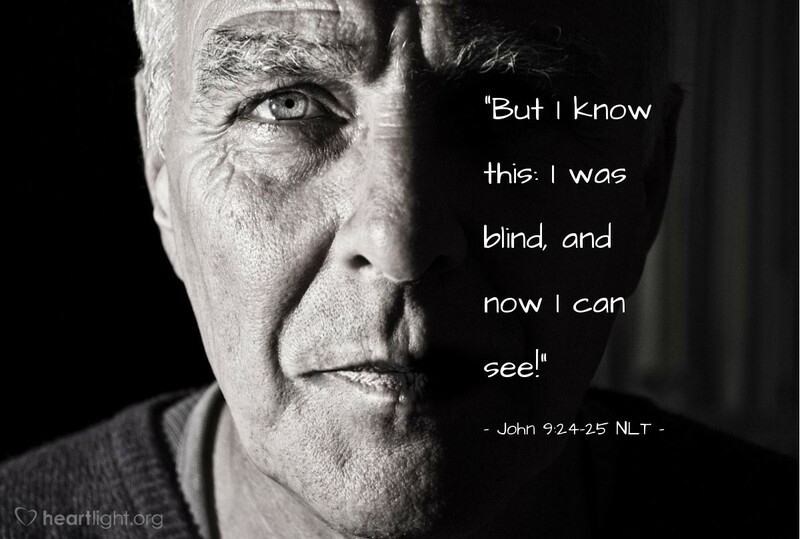 So for the second time [the Jewish leaders] called in the man who had been blind and told him, "God should get the glory for this, because we know this man Jesus is a sinner." "I don't know whether he is a sinner," the man replied. "But I know this: I was blind, and now I can see!" Sometimes we cannot answer all the intellectual or theological arguments about faith and the reasons we believe. Even though we might not be able to answer every question from the most seasoned skeptic, we do know God and have seen him work with power in our lives and in the lives of those we love. Our response is like the blind man's: "I don't have all the answers, but I have surely been changed by the one who does!" Father, make your presence known in my life so that others can see and know your love and grace through me. In Jesus' name, I pray. Amen.